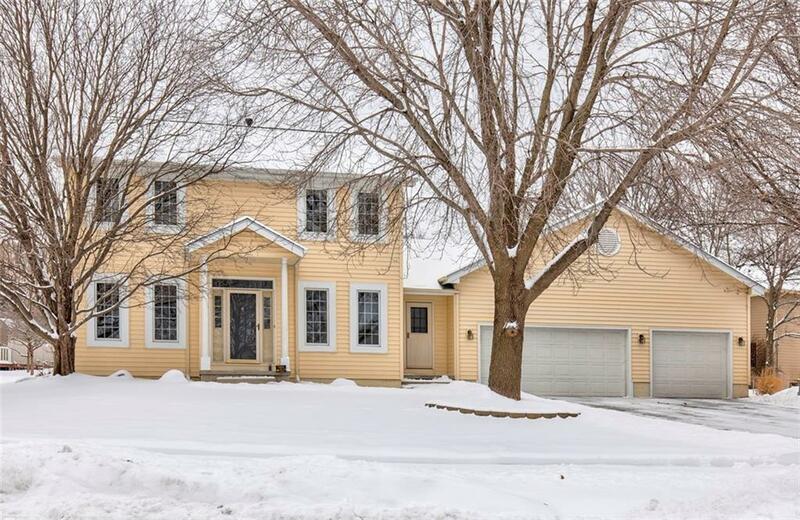 Rare find in Urbandale, an updated home on cul de sac with a huge 3 car garage! The first floor has new hardwood flooring, new doors and trim and all new lighting fixtures. It features a large eat in kitchen and a desk area, family room with fireplace, flex room for an office or kids playroom and a formal dining area on the first floor. The second floor has 4 bedrooms, tiled walk in shower and large walk in closet in the master. 3 more bedrooms with a full bath. From the kitchen you can enjoy the deck and backyard along with a patio big enough for a basketball game or hockey right now. Harder find in this price point is the 3 car garage and this one is huge! Also has new HVAC and newer roof.